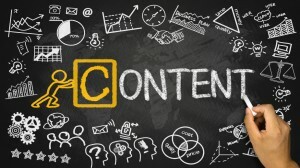 Most businesses have come to realise that content marketing for their website has become an essential part of the marketing mix, as opposed to simply being nice to have. As we’ve already mentioned in a previous blog, committing to content, being consistent and making it work within your SEO parameters are all important factors. Particularly when you’re getting the ball rolling. To make your content creation really work for your business you must define further what it is you’re looking to achieve, who you’re looking to attract and how you’re going to influence and inform them. Before you get into your content creation, decide whether you’ll do it all yourself or you’d prefer some professional help. Optimasit are the leading marketing and technology agency in Marbella, which means you can rest assured ensure that we’ll help to clearly define your objectives. You can have many as you want, as long as you know what they are. Knowing what you want to achieve should be the starting point behind each piece of content. What is it you want to drive? Are you simply looking for lead generation, to upsell a new product, to drive newsletter subscriptions or perhaps you’re looking to position the brand as a thought leader? Whatever your goal, make your content work towards it. If your goal is to gain email subscriptions then create a piece of downloadable content that requires an email address. Few people will readily give up their email address but by offering exclusive content you create value. And value can be exchanged. Knowing who you’re talking to will largely shape how you talk to them. The tone of voice in a piece of content can either turn a consumer on or off. There’s no right or wrong, it’s about matching the right tone to the right audience. Who are they? What do they care about? What are they interested in? All too often marketers will bend their content to fit their own interests rather than the interests of their audience. It’s no wonder so much content creation fails to hit the mark when it’s just brands talking about themselves. Don’t assume what your audience are interested in, ask them, open up a two way communication channel. It doesn’t need to be right on the nose every time, but at least show you care. It doesn’t matter how small the call to action is, sometimes micro actions like sharing a piece of content can lead to much bigger interactions and purchases. Let people take baby steps as they align with your brand and what you’re about. Asking a question at the end of a post is a great way to stimulate interaction within the comments section and on social networks. If your call to action is to gain sign ups then make it easy; simplify sign up forms, make them bright, easy to find and don’t ask for too much information during the first transaction. When you work with Optimasit it becomes clear from very early on that we like to define clear objectives. This is what makes us the best online marketing agency in Marbella, and it keeps both us and your business on track to achieving your long term goals. If you’d like further advice about how we can help your business, then don’t hesitate to get in touch.